“What a pretty baby,” exclaims the elderly woman, dressed in a sari, her fragile hands squeezing the cheeks of our one-year-old daughter. 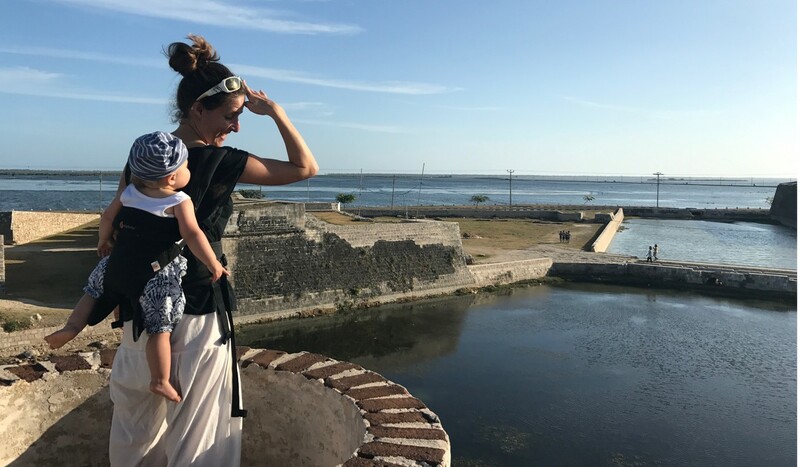 My wife Esther and I have taken our little one, Zaya, on a last-minute adventure to Sri Lanka, and she’s attracting unexpected attention at the Sri Maha Bodhi temple in Anuradhapura, the ancient capital of the island nation’s North Central Province. The temple encompasses the sacred Jaya Sri Maha Bodhi tree, said to be oldest human-planted tree in the world, which has been tended by an uninterrupted succession of guardians for over 2,000 years. 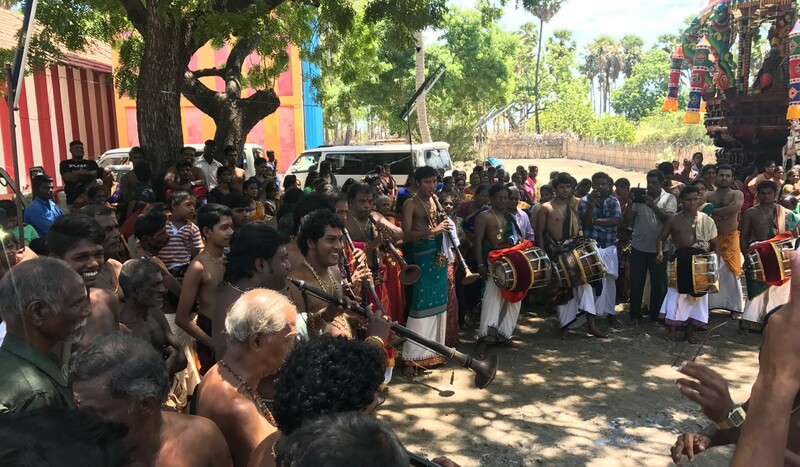 For decades, Anuradhapura was as far north as tourists ventured – any further travel needed special permission from the government. It also marked the end of the railway line from the capital, Colombo. Things changed after the end of the civil war in 2009. In 2014, an extension opened, linking Sri Lanka’s northern region with the rest of the country. As we travel further north, we find the provinces retain their refreshing “off the beaten track” charm. 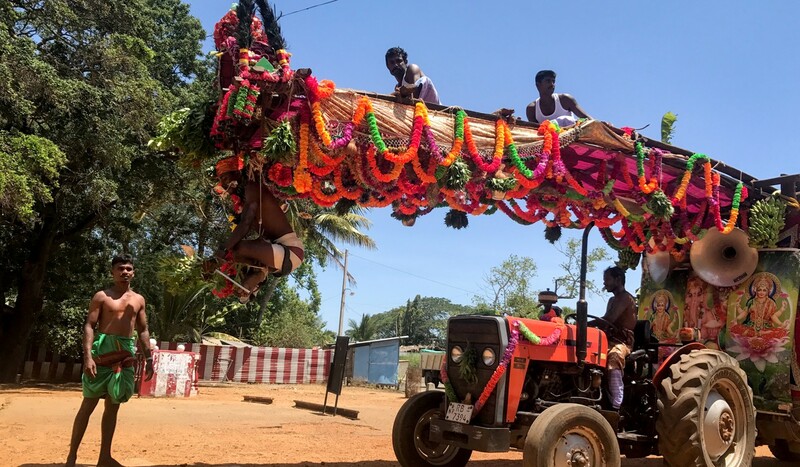 Sri Lanka has, in recent years, become a trendy tourist destination, with double-digit growth in visitor numbers, but the focus has remained on its southern shores. It is hard to miss the scars left by three decades of civil war. For years, the LTTE (the Liberation Tigers of Tamil Eelam, known internationally as the Tamil Tigers) fought for an independent state until their defeat in 2009. Houses are riddled with bullet holes. Once beautiful colonial buildings are missing roofs and are burnt out. But between the ruins, life has returned in its glory. While most of the country is Buddhist, Sri Lanka’s north is settled predominantly by Hindu Tamils. Temples dot the countryside and Hindu festivals colour the calendar year round. 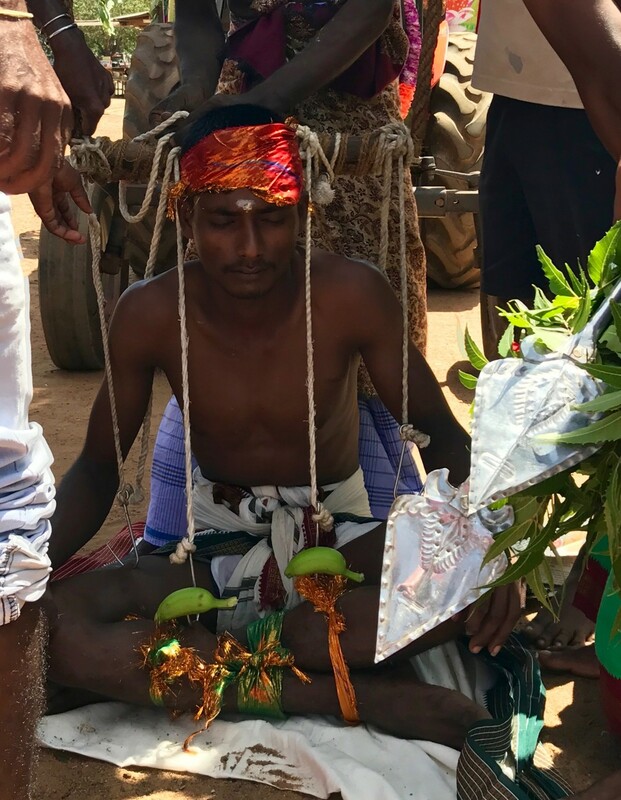 At a roadside temple en route to Jaffna, the capital of Sri Lanka’s Northern Province, we come across a group of young men worshipping and chanting. One of them has two metal hooks protruding through his shoulder blades, thighs and calves. Minutes later he is suspended from a tractor, his entire body weight held only by the hooks. A vibrant and cultural town, Jaffna used to house the largest library of Tamil culture. In 1981 it was razed by rioting mobs, sparking the beginning of the civil war and the formation of the LTTE. The public library, rebuilt in 2002, is today a bright, spacious place actively used by the locals. Next door is the crumbling Dutch fort – once one of the mightiest in Asia – and from its walls we can see the sparkling lagoons surrounding the town. A few kilometres outside town is the renovated Villa Margosa. Rumour has it that a LTTE commander used it as his headquarters. However, for the past five years it has served as a boutique hotel, one that frequently hosts the Sri Lankan prime minister. “It’s still difficult for us. Sri Lanka tourism does not really promote the northern provinces, so we don’t get that many visitors,” says Jeevitha, the villa’s proprietor. Tourists are missing out, not just on warm hospitality, but also great food. The local cuisine has a distinct southern Indian influence, and plenty of seafood due to the vicinity of the sea. Zaya digs into crab curry and a poppadom with both hands, not at all put off by the spices. The next morning, sunlight bounces off the shallow sea as we head out into the lagoon, where narrow causeways connect a string of islands which still carry Dutch names. The islands are full of palmyra palms – their tan leaves are used to build roofs and fences and in handicrafts. 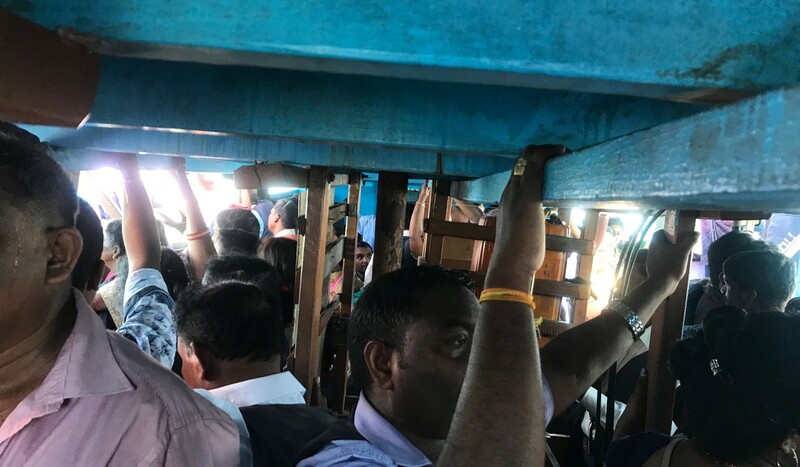 We take a wooden boat operated by the coastguard to Nainativu island, sharing the sweaty 30-minute ride below deck with more than 100 worshippers on their way to a large Hindu complex for a special puja, or local festival. An auto rickshaw whisks us along bumpy roads around the island. Over the centuries, Nainativu has been occupied by several colonial powers, each one leaving behind traces of their religion – a Catholic church, a mosque, a Buddhist temple. We head south along Sri Lanka’s west coast towards the Mannar peninsula. Here, a string of sandbanks almost forms a land connection with the Indian subcontinent. In the 1900s the British colonial government investigated building a bridge, but instead started a ferry service between Talaimannar and Rameswaram in India. The ferry service was suspended during the civil war and, despite several initiatives, still hasn’t resumed. The ailing pier and white lighthouse are remnants of its former glory. So is the town of Mannar. 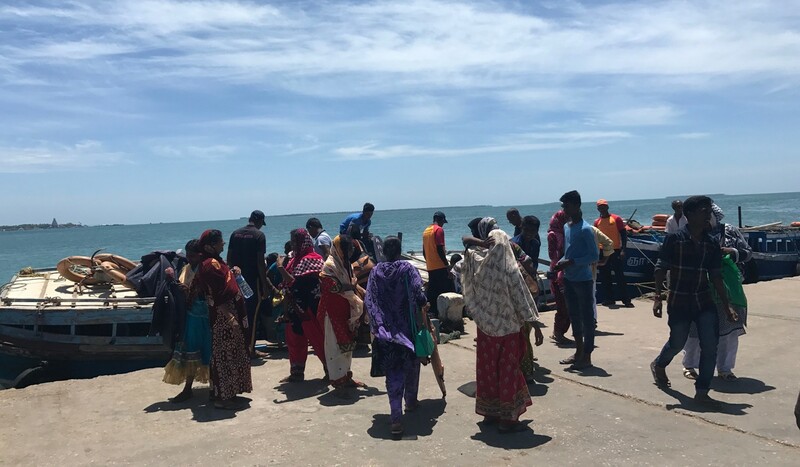 The provincial capital still feels sleepy, with local fishermen showing off their catch on the roadside. Gigantic baobab trees, planted by Arab traders 500 years ago, serve as reminders of how this region once was at the centre of transcontinental trade. 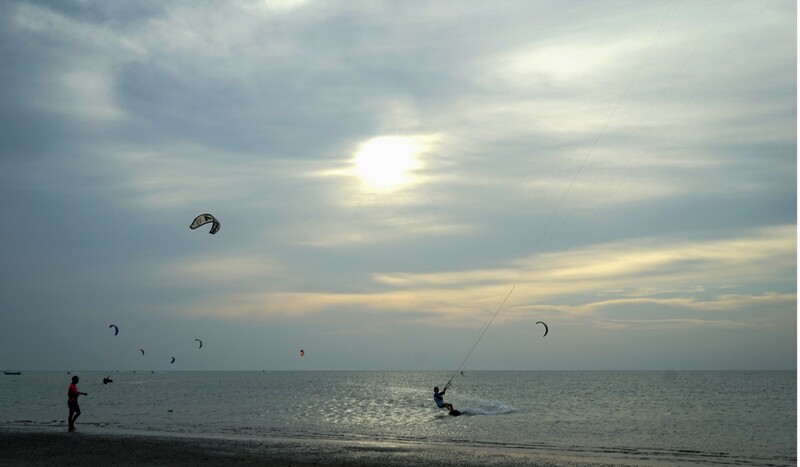 But we have come here for the wind – the constant trade winds that are perfect for kitesurfing and have recently given the region a new boost. At the far western end of the peninsula, local entrepreneur Dil has opened Vayu Resort, a few simple but idyllic cabins in the midst of the sandy dunes. In Arabic, Sri Lanka’s name was originally Serendib – “the Island Jewels”. Serendib later became the root for the English word serendipity. Watching the sun sink over the dunes, I wonder how many more jewels we’ll find in Sri Lanka’s north.